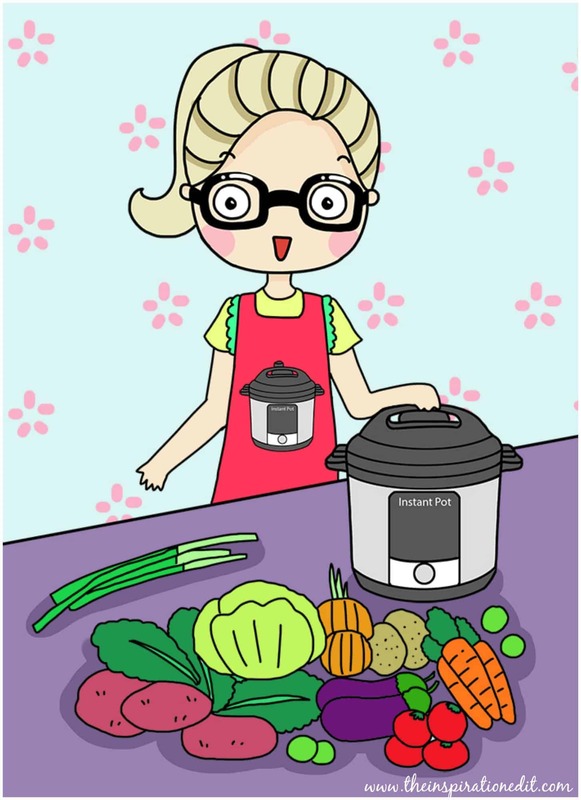 Are you looking to cook vegetables in your Instant Pot? 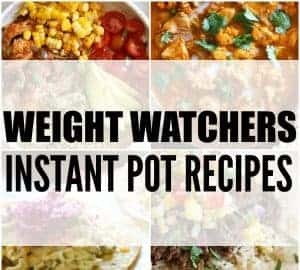 If so then here is a fantastic Instant Pot Cheat Sheet and guide to help cook your veg for the perfect time frame. 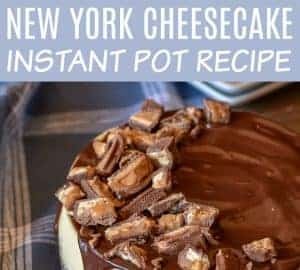 Cooking in the Instant Pot and getting the timing right can be tricky especially when your new to the Instant pot. There is a general rule of thumb that fresh vegetables cook for three minutes, frozen for four and potatoes for 12 minutes. 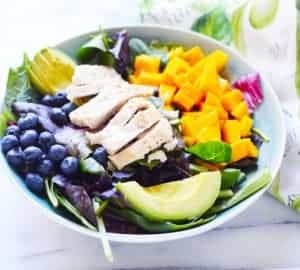 This may not work for every vegetable you use and you may need to tweak the timings as you discover what works for you. 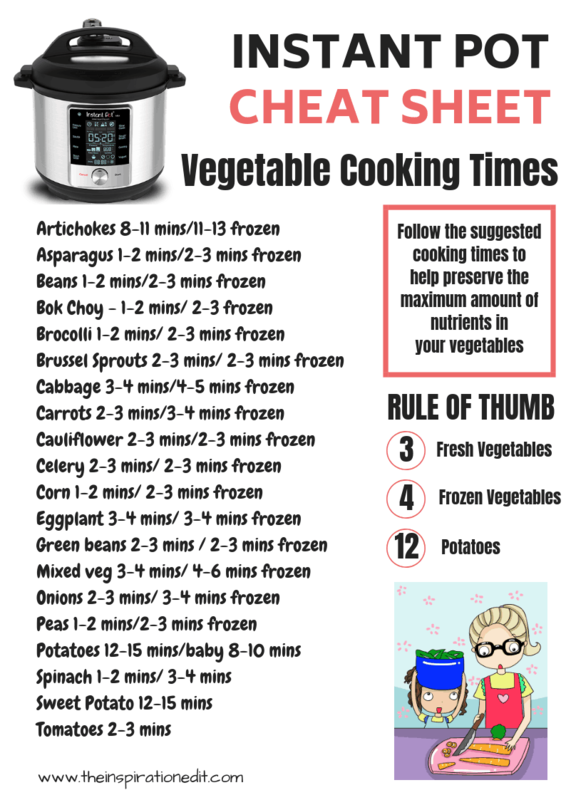 However here is a great guide for cooking some of the most popular Vegetables in the Instant Pot with the average times for both fresh and frozen pressure cooking. By following the suggested cooking times, you can ensure your vegetables maintain and preserve as much nutrition as possible within them. 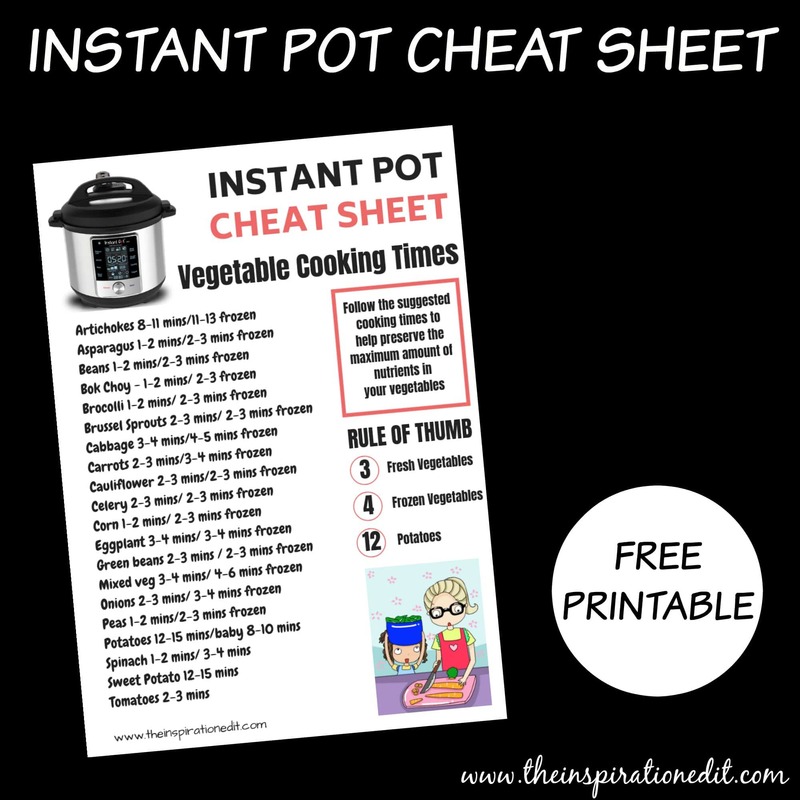 Download Your Free Instant Pot Cheat Sheet Here! 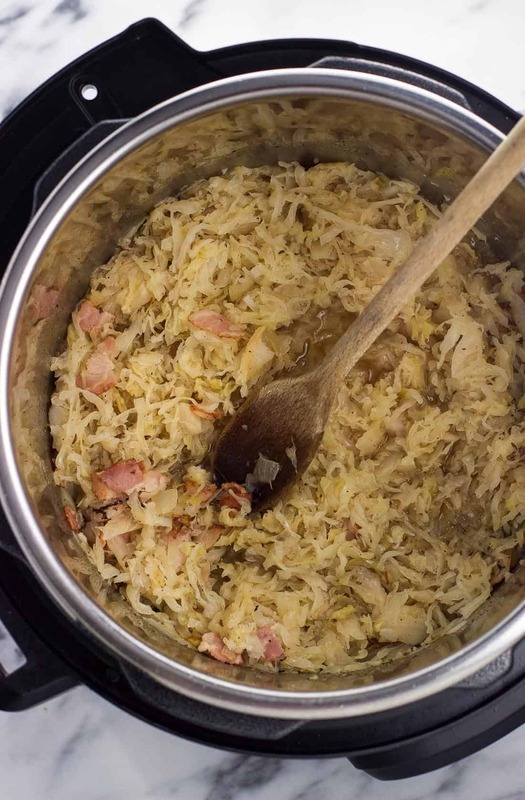 Don’t forget to Sign up to my weekly update where I share recipes and free printables. 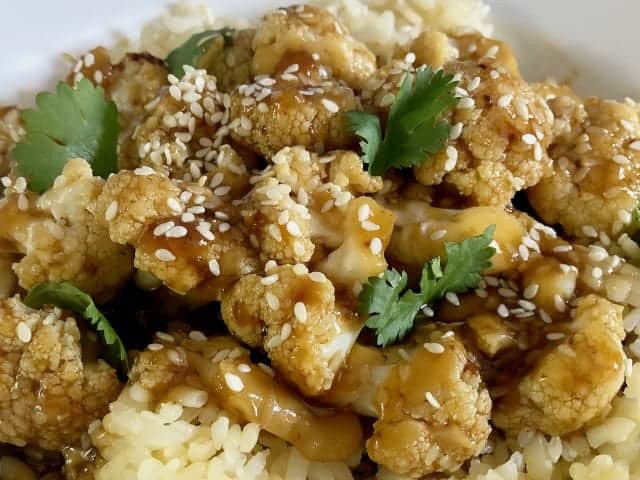 And here are a selection of fantastic Vegetable based Instant Pot recipes for you to try. What’s your favourite vegetable? 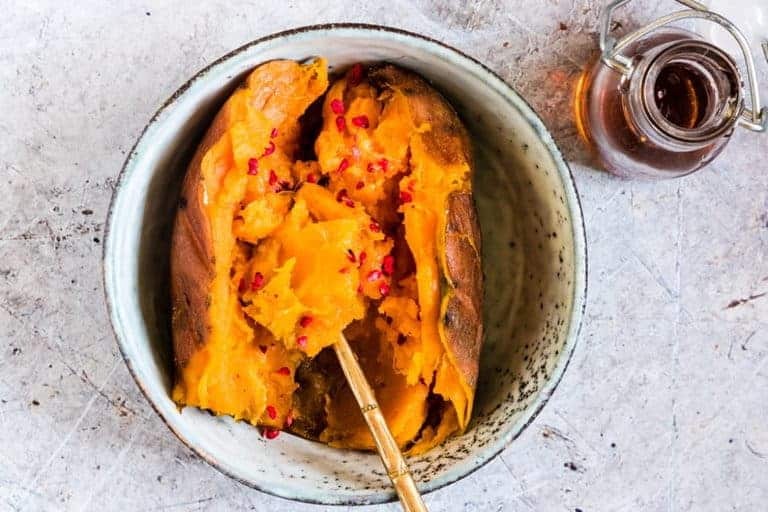 Mine is Sweet Potato!